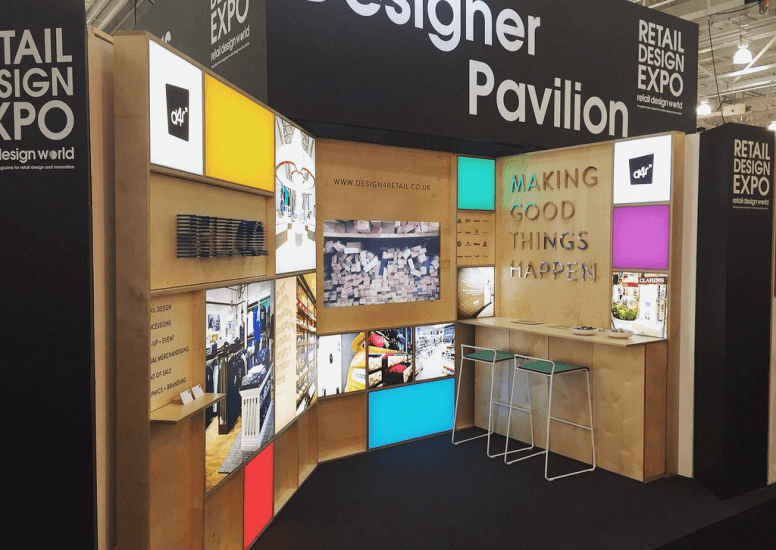 Design4Retail were delighted to have been part of the retail design expo this year, we had such a great time and was able to speak to so many fascinating people! 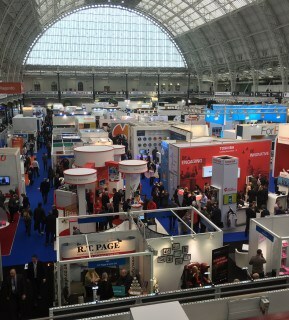 The retail design expo was held at Olympia in London, 9-10 March, and ran alongside the Retail Business Technology Expo and Retail Digital Signage Expo. It was the first time we were exhibiting at this type of event and it gave us the chance to meet and speak to so many potential new clients as well as get to catch up with some old friends, and make new ones! Over the two days talks and seminars were held by many leading names in high profile brands and companies sharing their knowledge in their particular field. Talks included subjects like ‘The Future Retail Experience’ from Guy Smith of Arcadia, ‘Digital Storytelling’ from Dalziel & Pow and ‘Designing Spaces For Brands’ from Antonio Virga Architecture and Printemps. 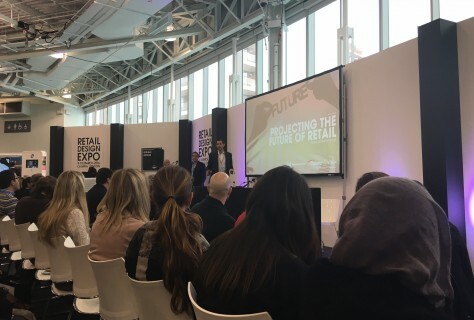 These talks gave us a great insight into the future of retail and upcoming trends as well as learning about new technologies and materials from companied exhibiting in the show. 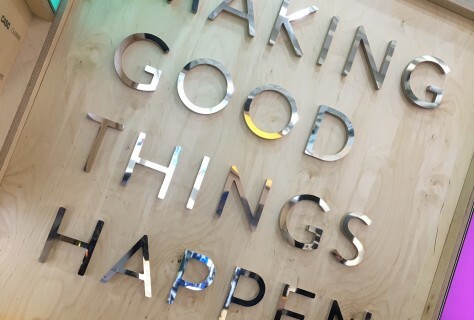 Alongside many design consultancies being there, various suppliers from the UK and overseas covering a range of innovation, inspiration, solutions and services from all sectors were there to lend a helping hand and information into what they’re all about. There were some really interesting and eye-catching stands at this year’s show, such as DZD whose entire stand was encased in hung mirror creating a very memorable design that definitely made us all stop and take a look. 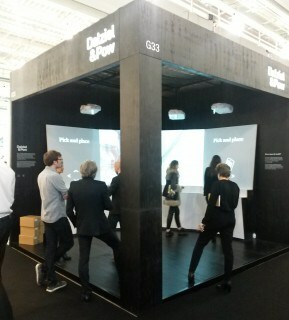 Dalziel & Pow were amongst the stands with an interactive installation allowing the visitors to take control of the space by placing everyday objects on a box which in turn activated films being played on large screens. 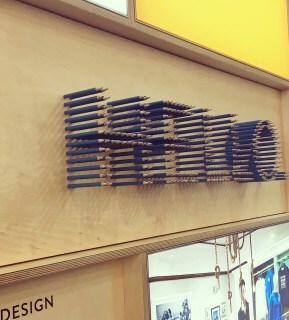 Their aim was to make their exhibit playful and engaging. Overall it was a very successful event and our stand was a great way for us to showcase our new brand identity and our most recent and eye catching projects. We were overwhelmed by the great turn out and the vibe that was given off from everyone there. It was a fantastic opportunity for us and we can definitely see ourselves being there again next year!